Grave/Memorial Reference:	Sec. Q. Grave 222. Additional information:	Son of John and Elizebeth M. D. Robinson, of Glenboig. Grave/Memorial Reference:	Sec. Q. Grave 202. 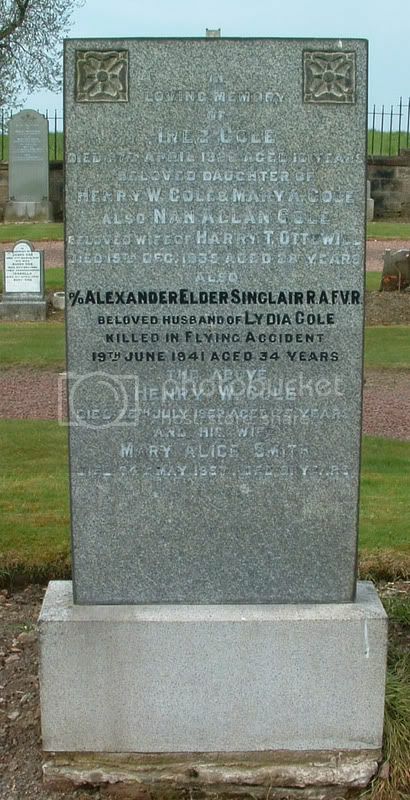 Additional information:	Son of Mr. and Mrs. James Sinclair; husband of Lydia Sinclair (nee Cole). Grave/Memorial Reference:	Sec. S. Grave 151. Unit Text:	43rd (2/5th Bn. Gloucestershire Regt.) Regt. Additional information:	Son of John and Mary B. 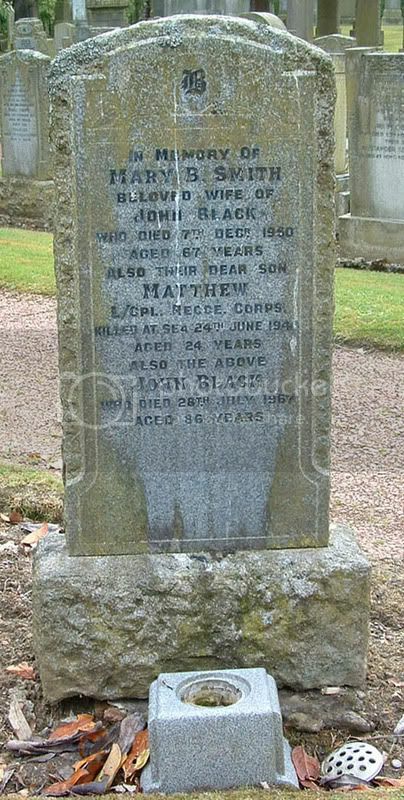 Black (nee Smith), of Glenboig, Lanarkshire; husband of Mary Taylor Black, of Cumbernauld Station, Dunbartonshire. Unit Text:	626 Field Sqn. 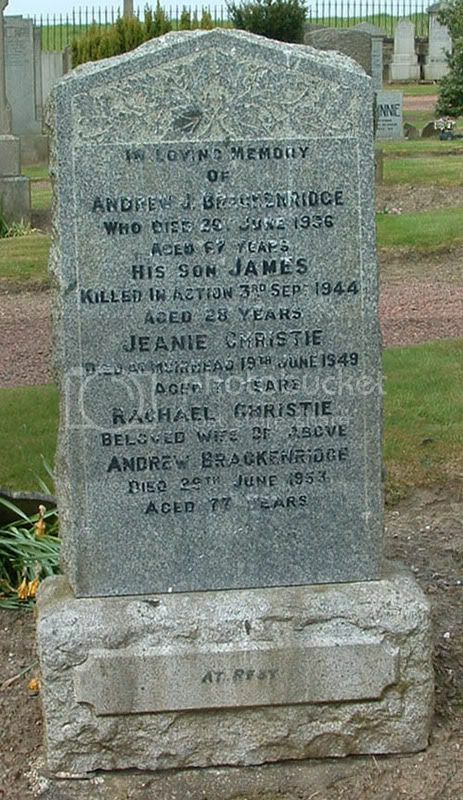 Additional information:	Son of Andrew Johnson Brackenridge and Rachel Brackenridge (nee Christie); husband of Gertrude Brackenridge, of Marfleet, Hull. Grave/Memorial Reference:	II. D. 11. 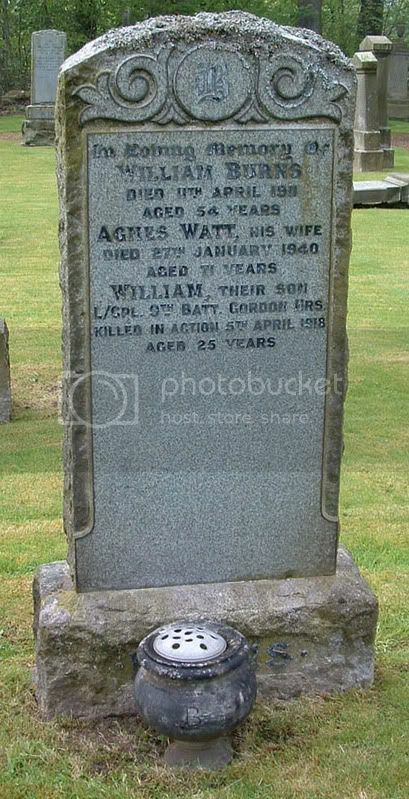 Additional information:	Son of William and Agnes Burns (nee Watt), of Gartcosh, nr. Glasgow. Grave/Memorial Reference:	X. A. 5. 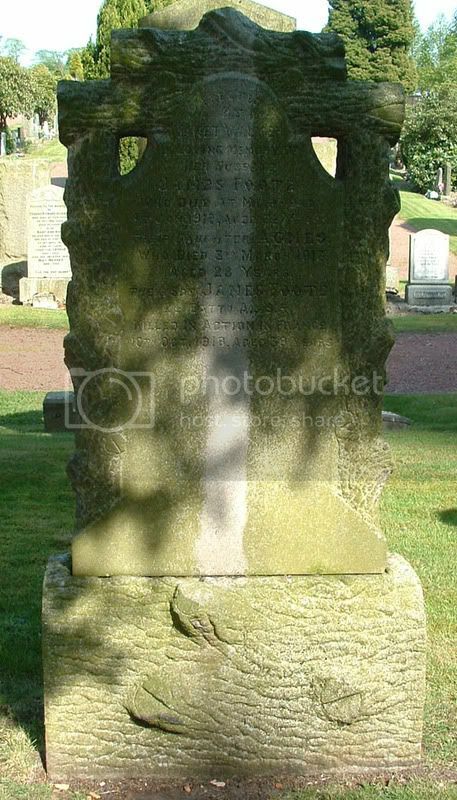 Additional information:	Son of Ephraim and Mary A. Dodds (nee Ferguson), of Stoneyetts, Chryston, Glasgow; husband of Jeanie McCutcheon Dodds, of 18, Baird's Row, Cuilhill, Bargeddie, Glasgow. Previously wounded April, 1917. Grave/Memorial Reference:	III. D. 41. This is the only W. Dodds in A. & S. H. listed on CWGC. 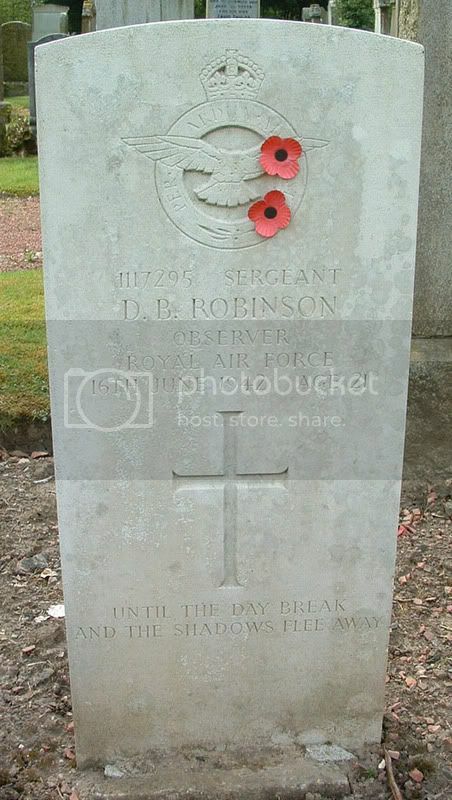 Note: Date of death on inscription is 16.05.1916 – CWGC has his date of death as 19.05.1917. Unit Text:	"D" Coy. 9th Bn. 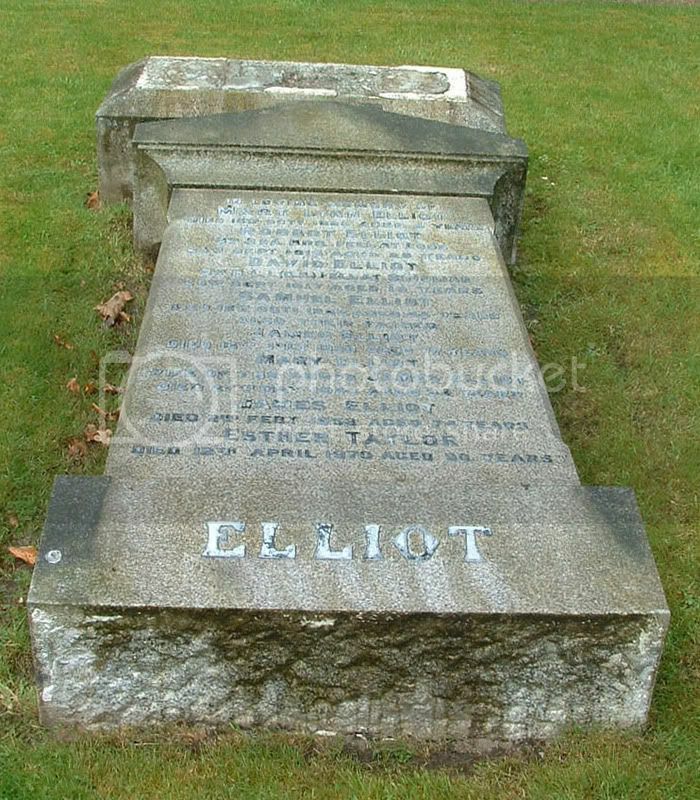 Additional information:	Son of James and Mary Murray Elliot, of 1120, Argyle St., Sandyford, Glasgow. 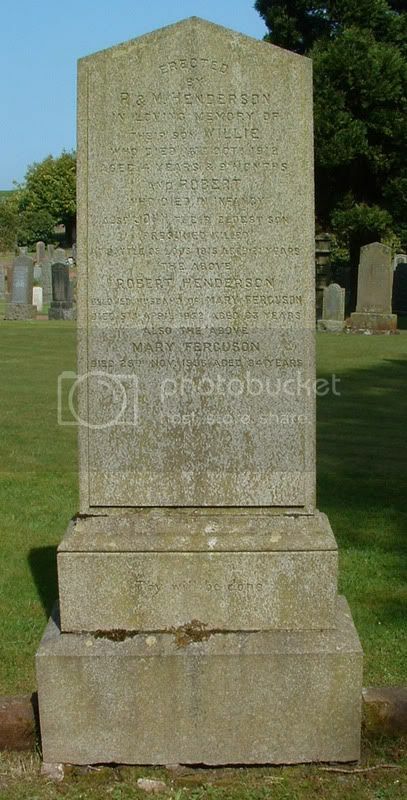 Additional information:	Son of James and Mary Murray, of 1120, Argyle St., Sandyford, Glasgow. Born at Greenock. Grave/Memorial Reference:	VIII. F. 1. 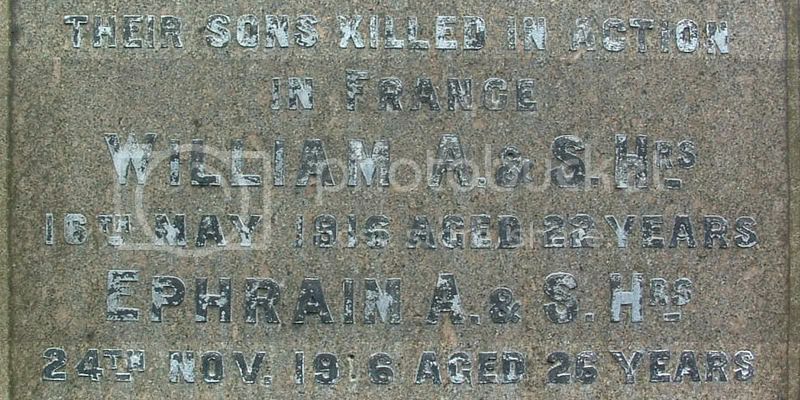 Additional information:	Son of Thomas Scott Findlay and Jessie Findlay (nee McCall); husband of Winifred Findlay, of Chiswick, Middlesex. Unit Text:	52nd (Lowland) Div. Cyclist Coy. 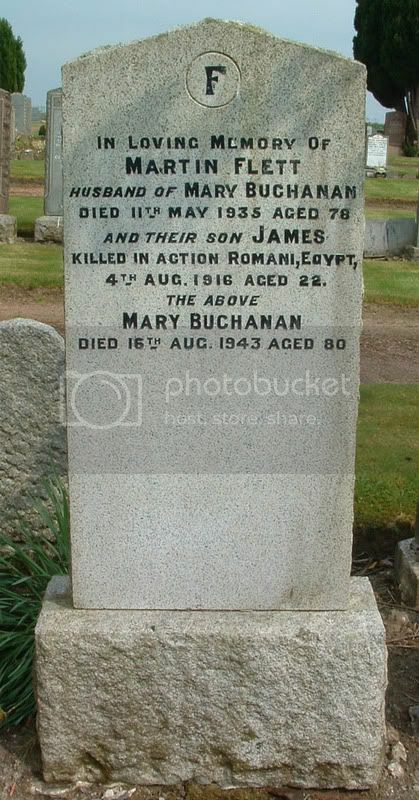 Additional information:	Son of Martin and Mary Flett (nee Buchanan), of "Woodbine," Muirhead, Chryston, Glasgow. Unit Text:	57 Bty., 14 Lt. A.A. Regt. 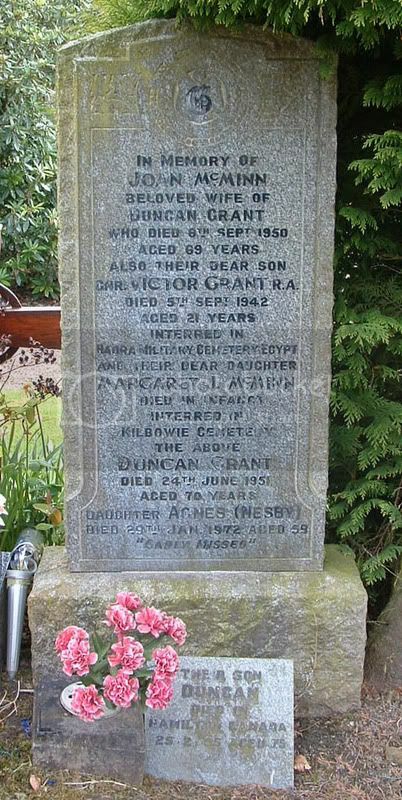 Additional information:	Son of Duncan and Joan Grant (nee McMinn), of Chryston, Lanarkshire. Grave/Memorial Reference:	3. F. 22. Secondary Regiment:	West African Reconnaissance Regiment, R.W.A.F.F. Secondary Unit Text:	attd. 81 West African Div. 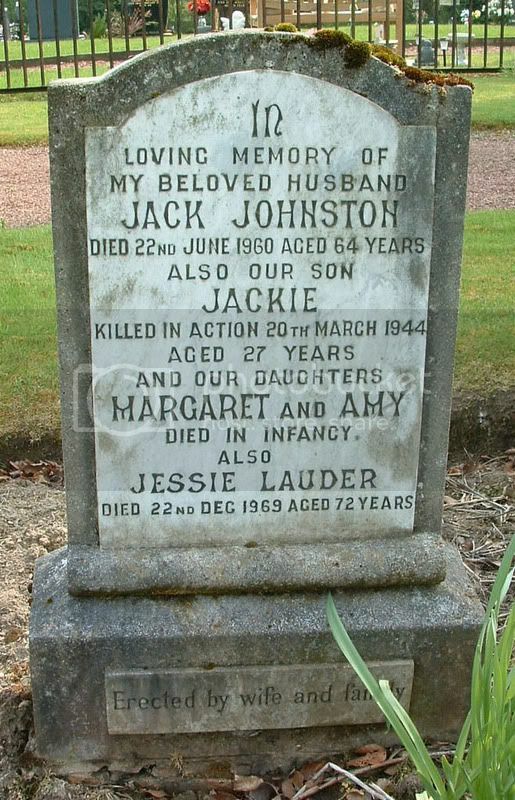 Additional information:	Son of John and Margaret Harding (nee Baxter). 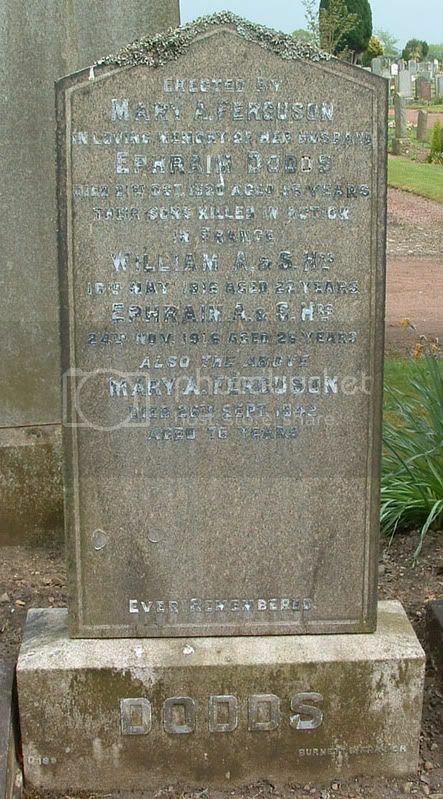 Additional information:	Son of Robert and Mary Henderson, of "Criffell", Muirhead, Chryston, Glasgow. Grave/Memorial Reference:	Panel 46 to 49. Grave/Memorial Reference:	X. D. 9. 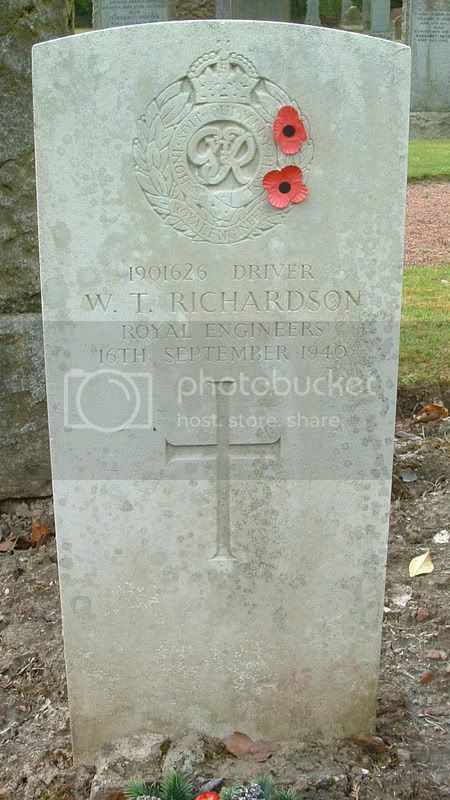 This is the only J. Johnston(e) listed on CWGC as being killed 20.03.1944.